Single user mode is one of run level in Linux; this is also called as Init 1, in this mode all the filesytems will be mounted in read-write mode and can be modified by anybody; this is very insecure because it won’t ask password for login unless you have configured grub password. In this mode networking services (NFS, NIS, DNS and many more) won’t start (Ubuntu has option to start networking support), it is mainly used for troubleshooting system and administrative tasks by the super user. 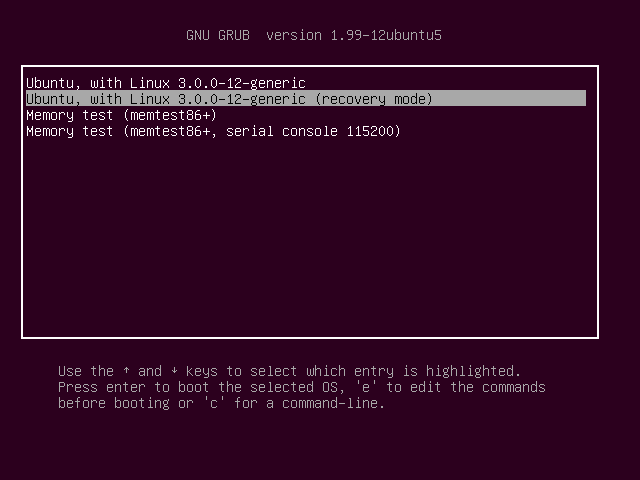 In Ubuntu, it is very easy to enter into single user mode because it has own recovery kernel option in the grub menu. Here is the small tutorial about the single user mode in Ubuntu 11.10. Step 2: While booting press and hold “Shift” key, you might see the splash screen like below with the list of kernel installed. Select the recovery kernel and press Enter. 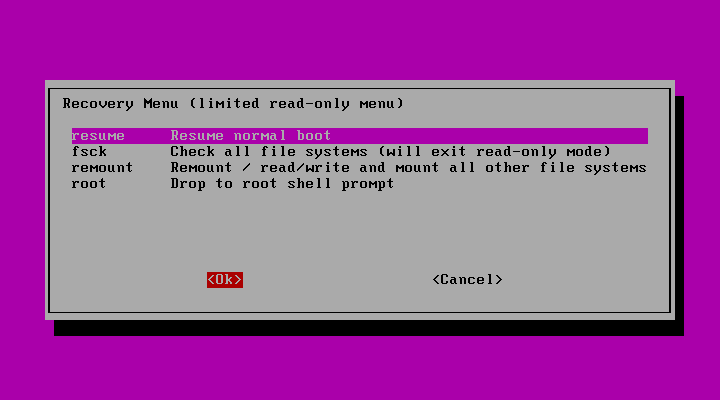 If you want recover your system, you have to enter into normal recovery menu; for that you should select either “remount” or “fsck” because other option such as “root” will mount your file system in read only mode ( No use ) and “resume“ – will resume normal boot. 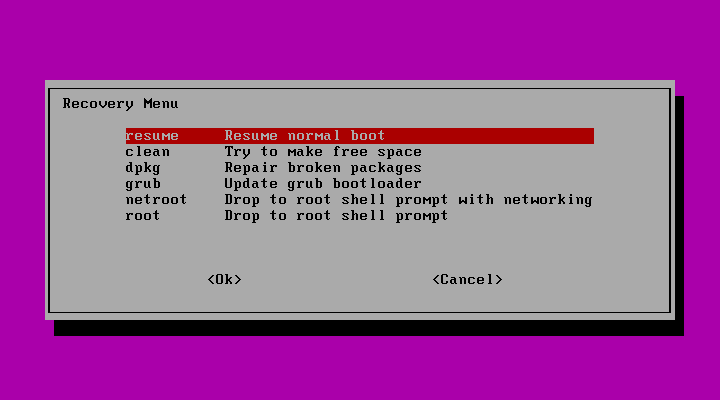 Step 4: Once you have selected either “remount” or “fsck”; you have to press “Enter” to get normal recovery menu. 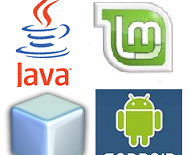 Here you can select the option according to your requirement, this time file systems will be mounted read- write mode if you have selected Drop to root shell prompt or other options. That’s all. Now you can start do the administrative tasks.